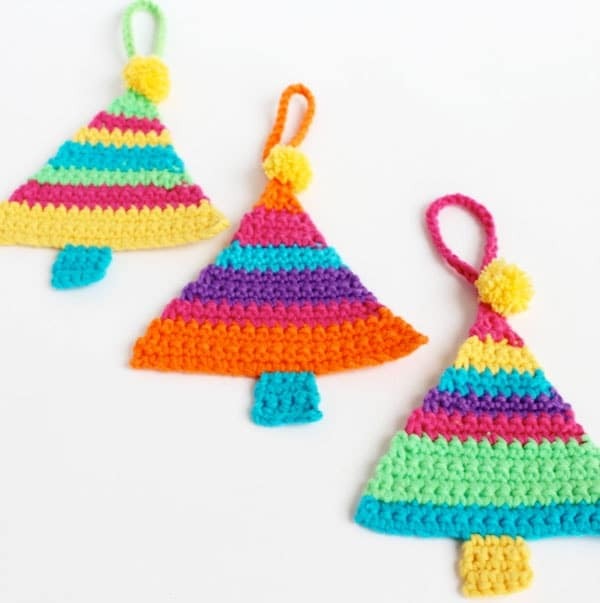 Cozy up your tree with these adorable crochet Christmas decorations! 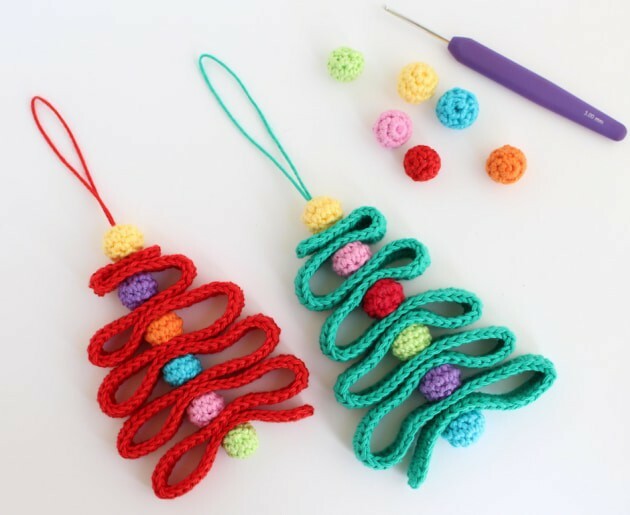 Easy patterns for fabulous ornaments you can keep or give as handmade gifts this Holiday season! My little boy LOVES our Christmas ornaments so much he has a tendency of stealing them from the tree to play with, and since quite a few got broken last year I was trying to find some child-proof options… then it dawned on me that crochet Christmas decorations were just what we needed! 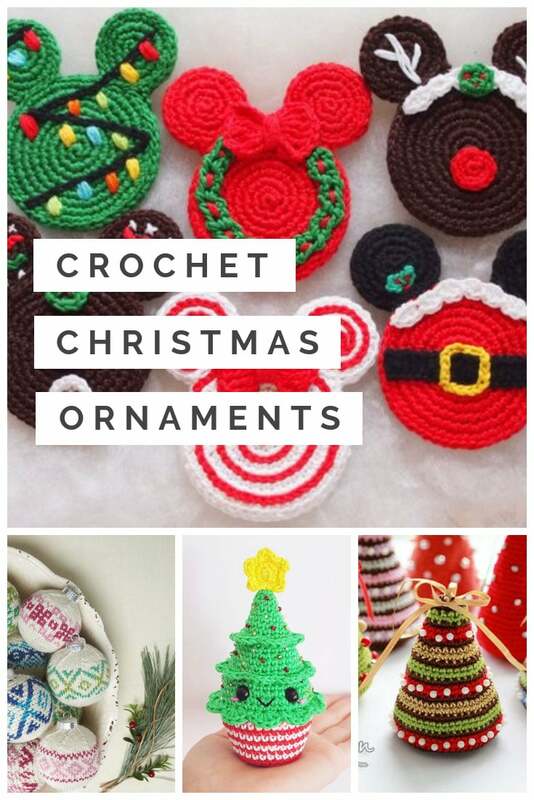 And when you’ve crocheted enough for your own tree why not whip up some more to give as homemade Christmas gifts that will make your loved ones smile as they hang them on their own tree for years to come! I love the floral design on these decorative baubles! You’ll need some 4ply/sport weight yarn in the colors of your choice and some 3 inch baubles to cover with your crochet. 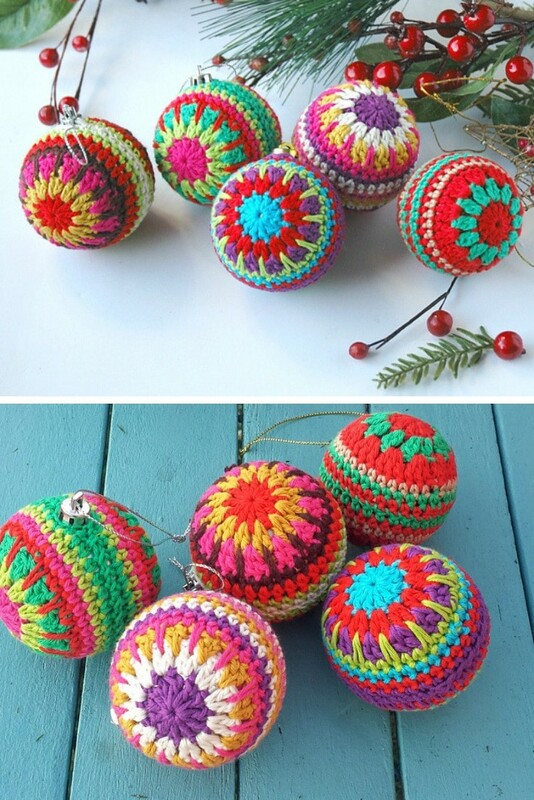 You can just use some of last year’s baubles or grab some from Amazon to make your crochet Christmas decorations. I LOVE the Lalylala crochet patterns because the characters are always so cute! 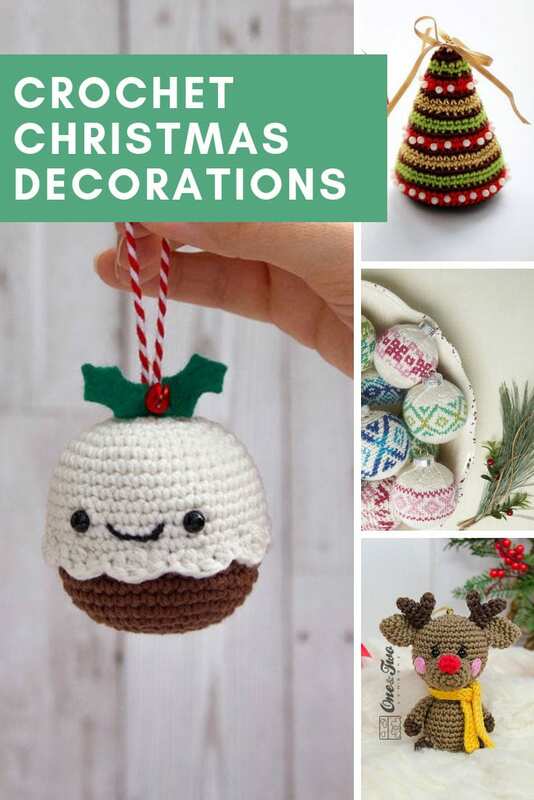 This pattern set has three little softie characters you can crochet to hang on your tree: a Christmas tree, a candle and a little angel. The patterns work really well for beginners because they have really detailed step-by-step instructions and lots of photos to show you what to do. These would make really cute gift tags or pocket sized stocking stuffer friends for your kids! 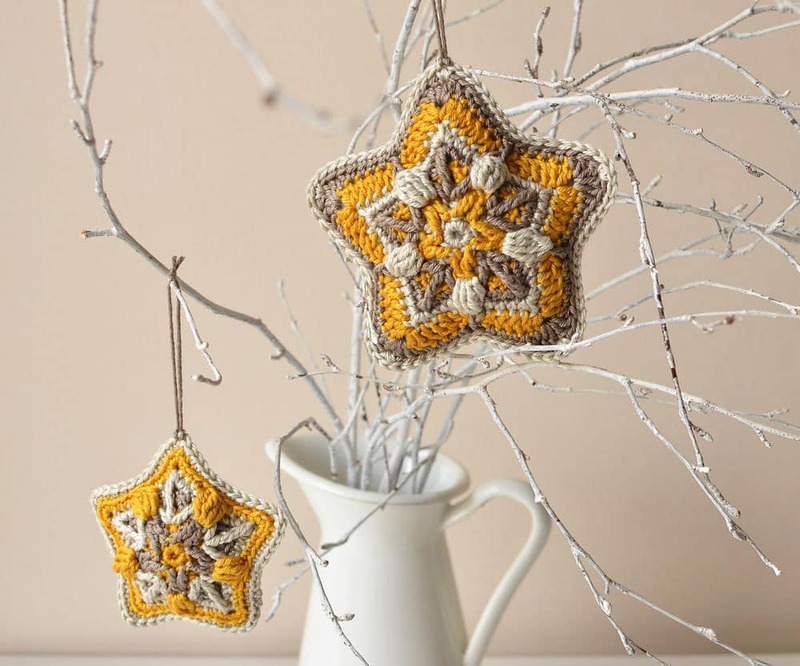 Here’s another Christmas crochet pattern that’s perfect for beginners, again the pattern has detailed step-by-step instructions as well as photographs, and the gauge isn’t really all that important as long as your star stays flat! You can hang these on your tree individually or string them together to make a garland that would look fabulous wrapped around your tree, across your mantel or even hung above your baby’s crib in the nursery! 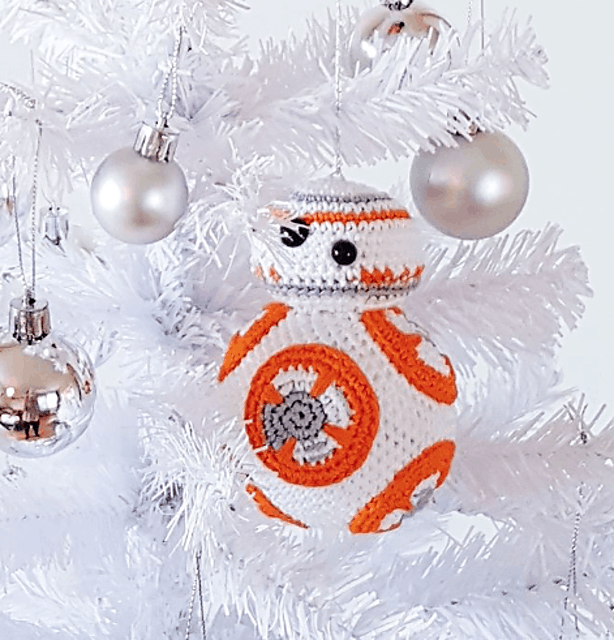 If you have a Star Wars fan in your family you definitely need to whip up one of these fabulous BB-8 ornaments! It’s a free pattern download over on Ravelry (click on the link below) and you can even sell your finished ornaments in small quantities. Here’s another pattern for a Christmas ornament cover that makes them look like they’re wearing Christmas sweaters! Aww how cute are these little guys! I LOVE those little scarves to keep their necks warm while they’re hanging on your tree… and the little pink rosy cheeks! 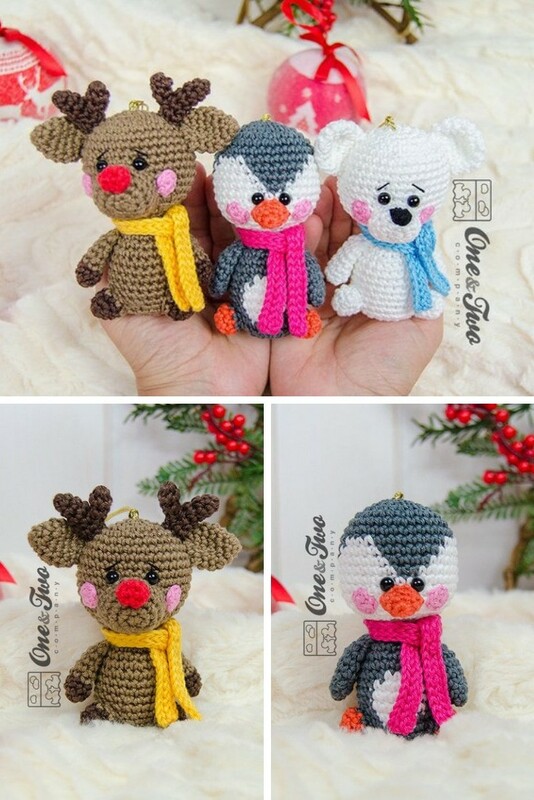 This little trio of arctic crochet Christmas decorations includes a reindeer, penguin and a polar bear! 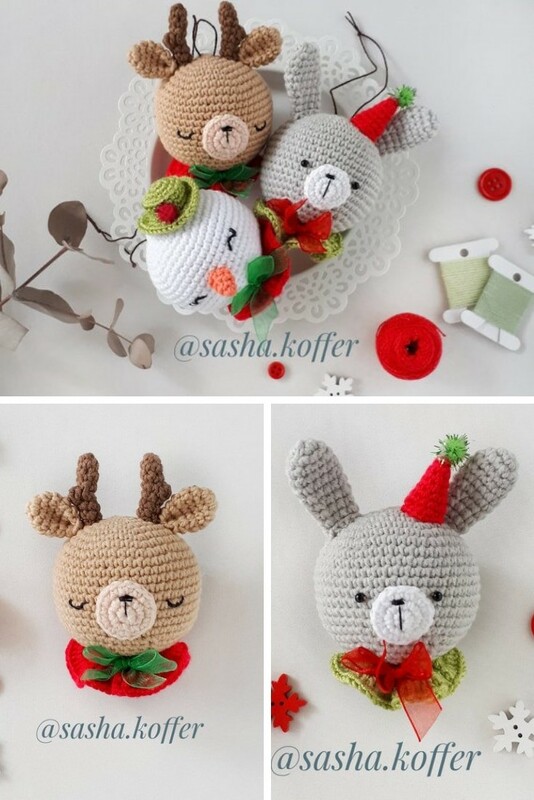 Speaking of reindeer… we have a whole collection of Rudolph crochet patterns you should take a look at today! Or how about this trio of winter friends which are just heads so they’re still bauble shaped! There’s a snowman with a fancy scarf, a sweet little reindeer and a bunny in a party hat! This is a beginner friendly pattern with easy to follow steps and lots of pictures to help you. Yum did someone say cupcakes? 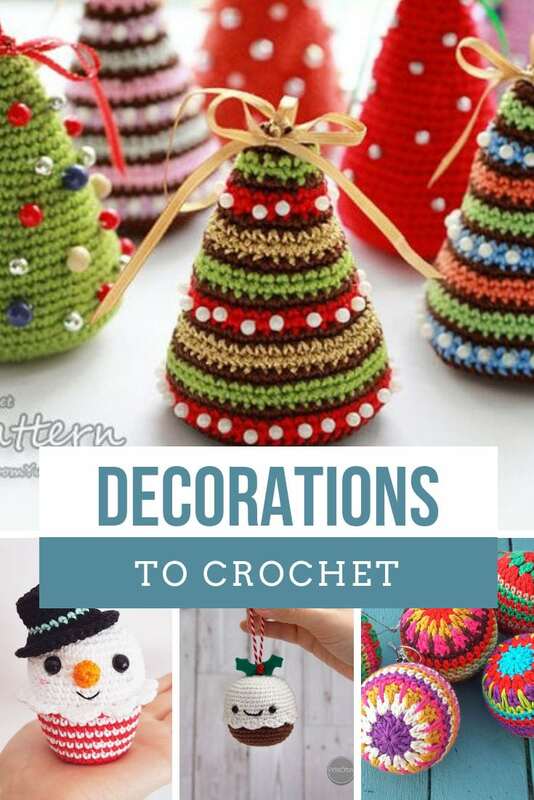 These adorable crochet ornaments will look fabulous hanging on your tree, or arranged on your mantel. They’d be cute stocking stuffers too! 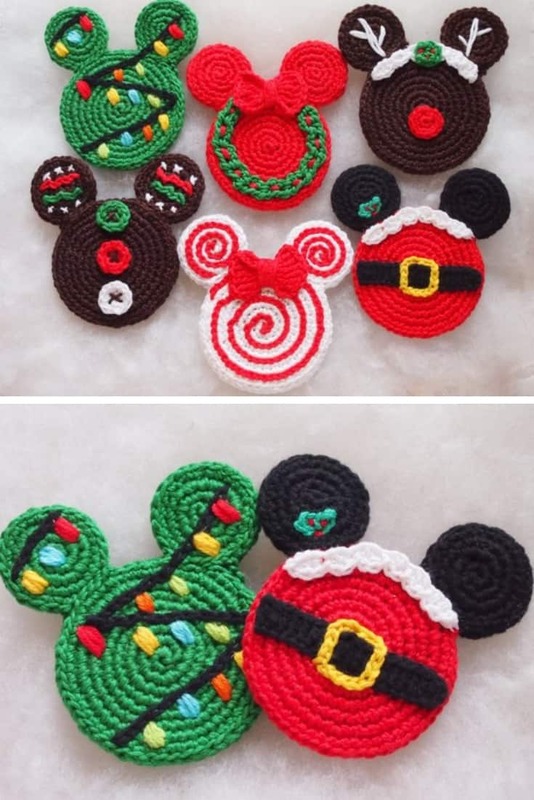 We just got back from Disney World where everything is decorated for Christmas already, so when I saw these Mickey and Minnie Mouse head crochet ornaments I knew they had to go on my project list! You could hang these on your tree, string them into a garland or use them as gift tags! 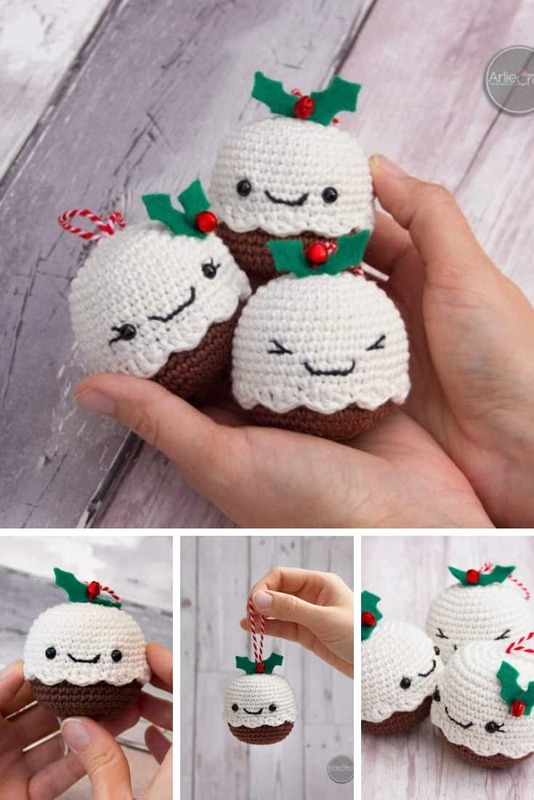 If you love kawaii style cute things you are going to LOVE these adorable little Christmas puddings! You can make a whole family of them with different expressions to liven up your tree! Oh and if you don’t have time to make them yourself you can order a set of 3 here! 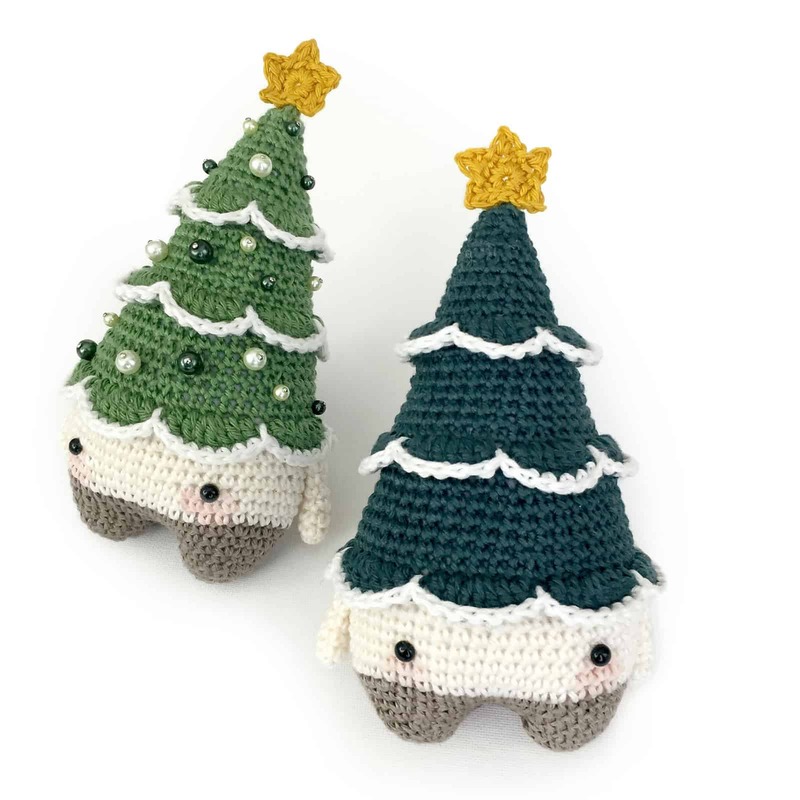 These little Christmas trees will stand at 4 inches tall so they’re perfect for hanging on your tree or maybe using to decorate a doll’s house or fairy garden for the holidays! The pattern includes very detailed instructions on how to make a plain tree as well as a striped one so you can mix and match your colors to match your Holiday decor. Want more tree ideas? 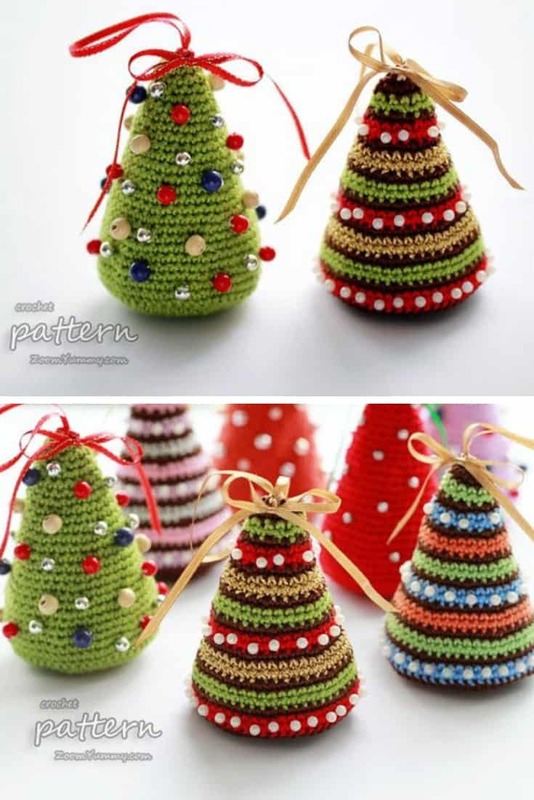 We’ve got a fabulous collection of Christmas tree crochet patterns we think you’ll love! 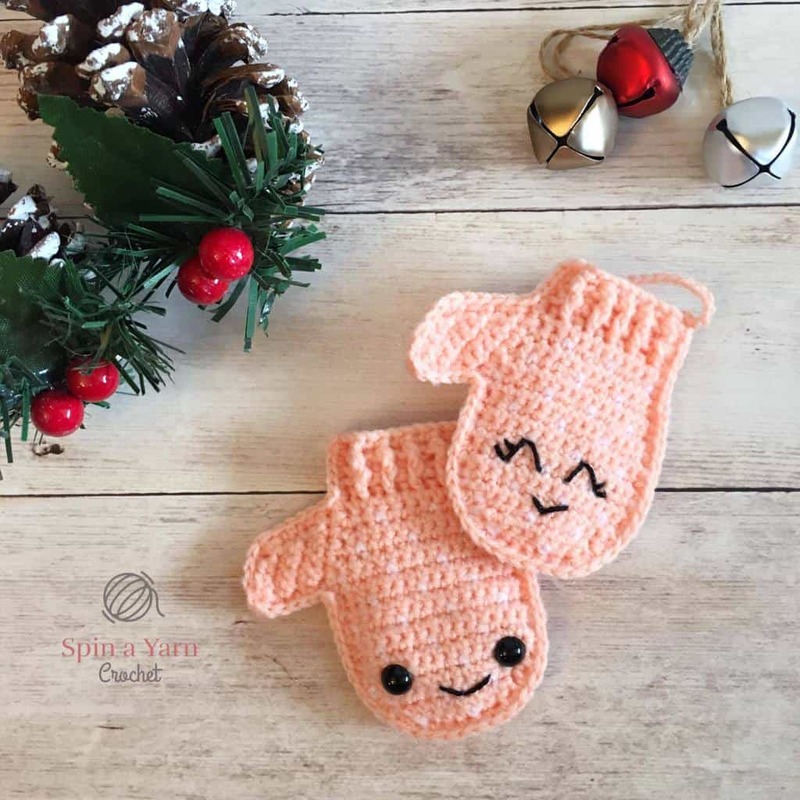 Here’s a free, beginner-friendly crochet pattern to make a set of adorable little mittens! You can add kawaii style faces like in the picture above or add a snowflake pattern to your mittens instead. 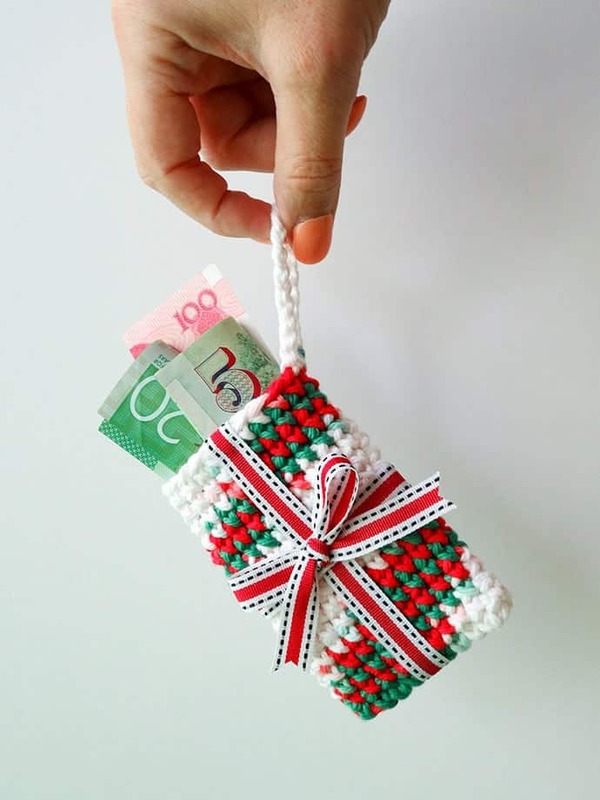 If you’re giving the gift of gift cards this Christmas and you want a thoughtful way to present them try one of these fabulous crochet card holders which doubles as a Christmas ornament. You could fill them with wrapped candies too! Here’s a unique Christmas tree ornament that you’ll be able to hook up in no time! I love the ribbon effect and the little baubles that also act as the trunk… so clever! Here’s another Christmas tree ornament pattern that makes a perfect scrap yarn project to use up some of your leftovers since you don’t need a lot of each color for the stripes! Again these are flat so would make wonderful gift tags. Ami always designs the cutest amigurumi softies and these little teddies all bundled up with their winter scarves are no exception! 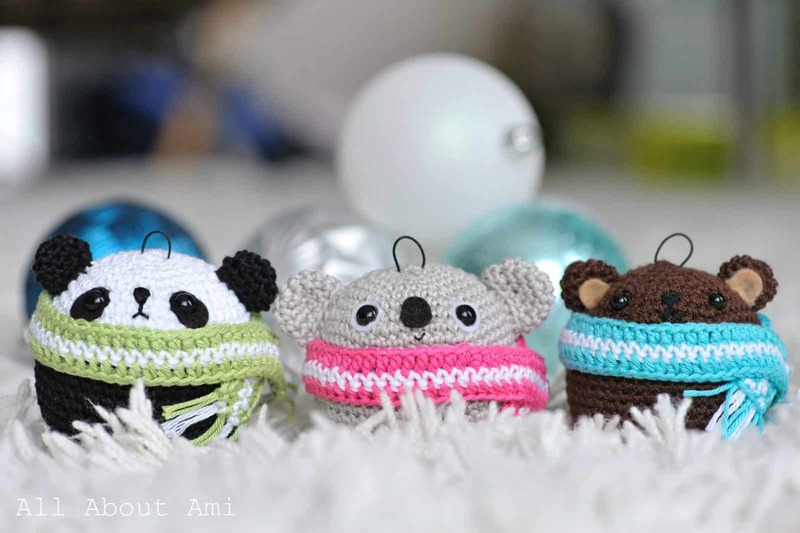 They just might be the cutest ornament covers you’ll ever crochet! I thought I’d take a look on YouTube for some patterns too and found this video tutorial for making adorable mini stockings! 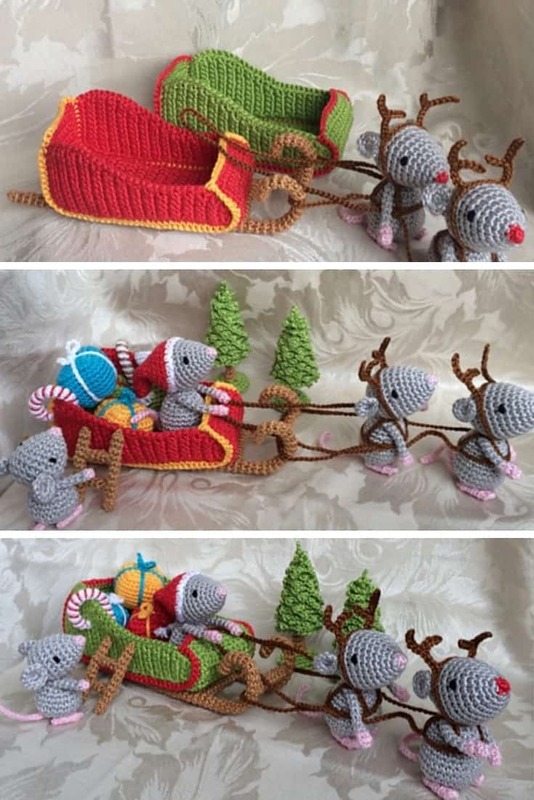 Oooh how sweet are these little teeny crochet mice driving in their sleigh with their presents all piled up! They’d look fabulous on your mantel, or as a festive centerpiece on the dinner table! This crochet pattern is for intermediates since you need to know how to magic ring as well as crochet in rounds and rows. 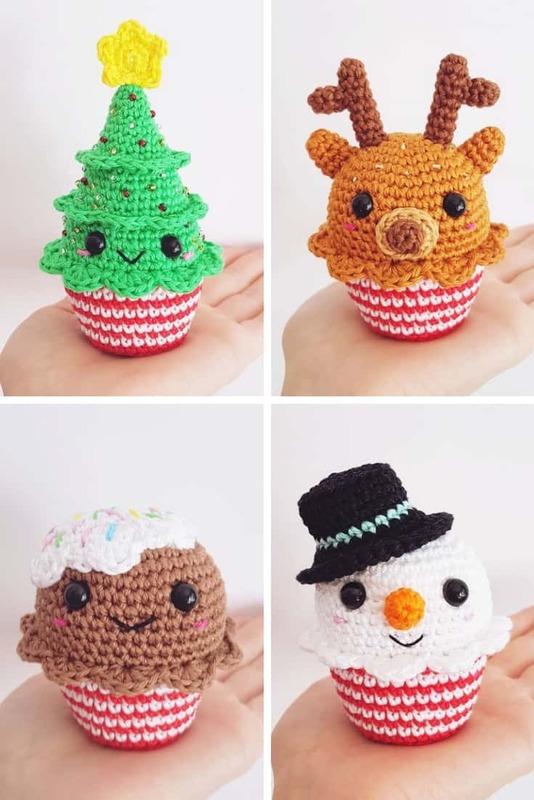 Shall we finish up this collection of crochet Christmas decorations with this fabulous little guy who looks good enough to eat! There are so many ways you can decorate with this little Gingerbread man… for example you could hang him on your tree, string him on a garland, or even turn him into a dinner place holder. 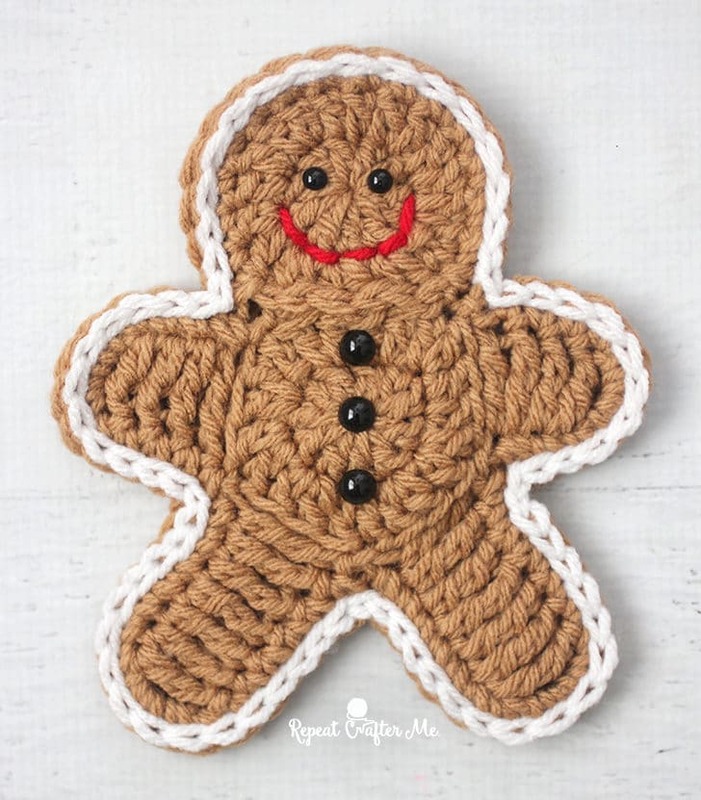 You can decorate him with all the embellishments you like, or how about making a Gingerbread woman! 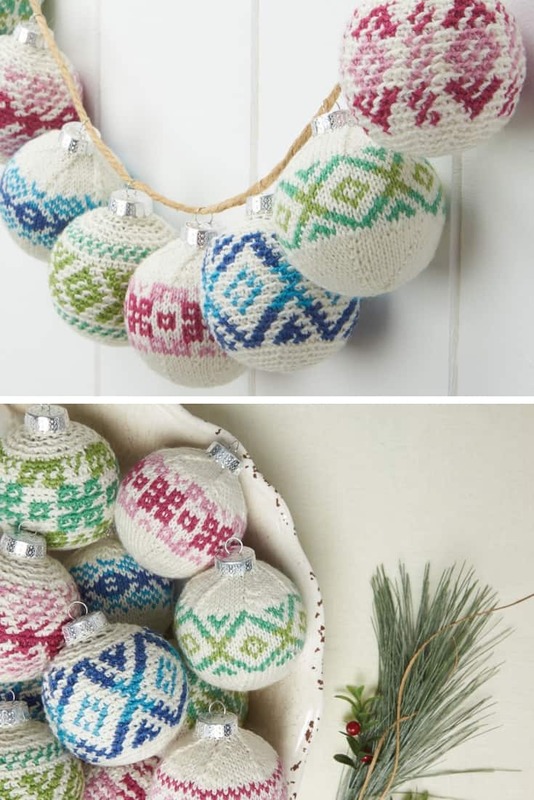 Which of these crochet Christmas decorations are you going to make this year? Leave us a comment or share a photo of something you’ve made already!